I recently stumbled on a blog post about about coffee cup cooking and fell in love with the concept. Not only is the meal made in minutes, but it’s also automatically set up for adorable presentation. 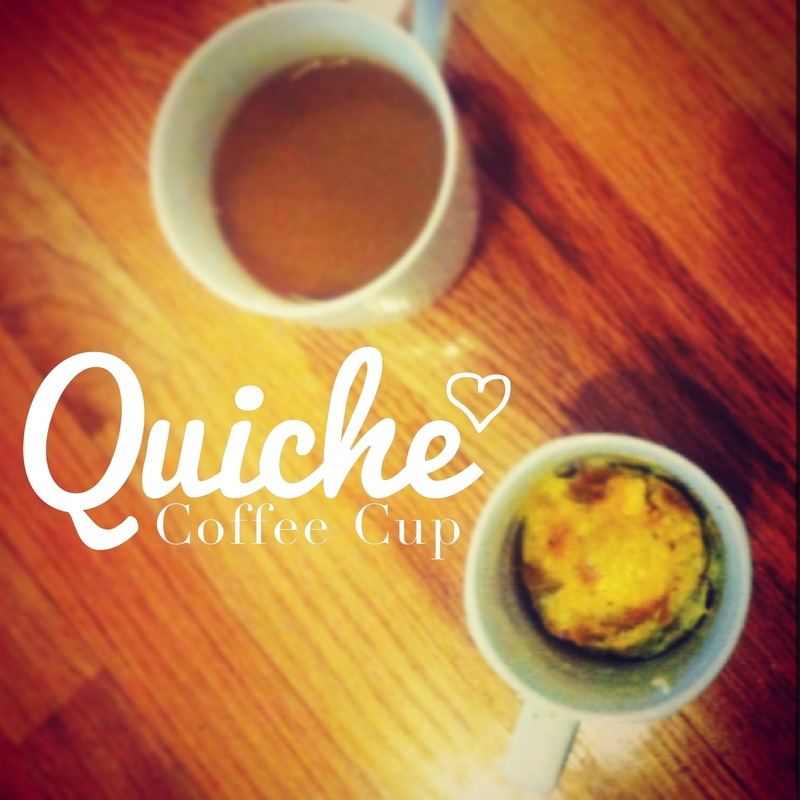 This morning I created my own gluten free coffee cup quiche, and can promise I will be making it again, and again. Hope you enjoy! 1. Beat the egg and milk together with a fork in a coffee cup, adding salt and pepper to taste. 2. Tear bread into dime-size pieces; stir in. Add cream cheese; stir in. Tear ham into small pieces; add to mixture. 2. Microwave on high about 1 minute 10 seconds. Sprinkle cheese on top; microwave for an additional 30 seconds or until done.